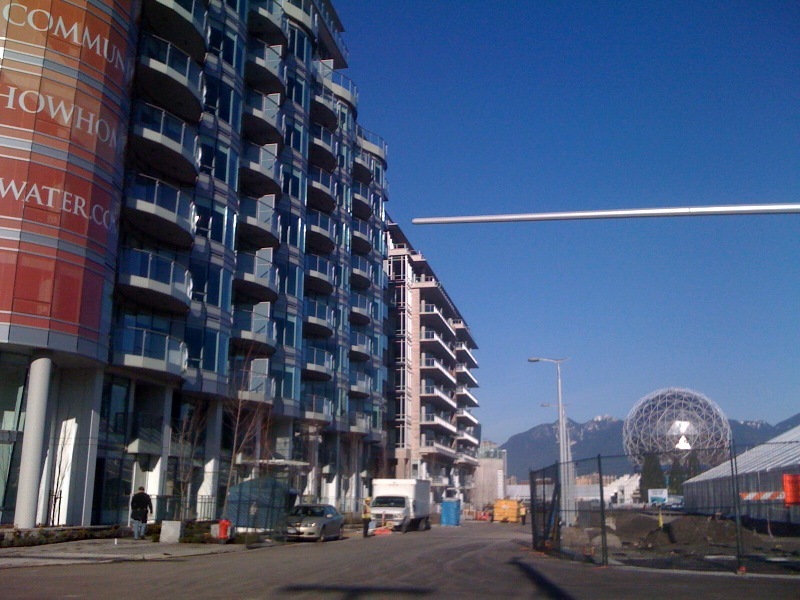 Well, how much better can it be living accross the road from the YVR 2010 Olympic Village with The British Columbia Mountains in the background and Vancouver’s version of Disney’s Golf Ball at Epcot-Florida. I took this picture this morning on the way to my travel agency office. Who says the sun never shines in British Columbia. 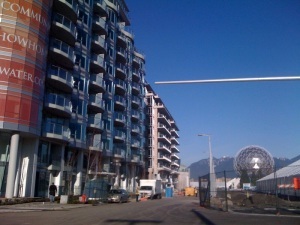 It’s not too late to come to our wonderful city of Vancouver and experience the Olympic fever that is all over the city. Preparations are nearly complete and there is still accommodation to be had, from hotel rooms on a cruise ship in port, to the traditional land based hotel. Treat yourself to the experience of a lifetime, TICKETS ARE STILL AVAILABLE TO THE OLYMPIC OPENING CEREMONY FROM ONLY $1545.00 CAD each, but hurry they won’t be around forever!